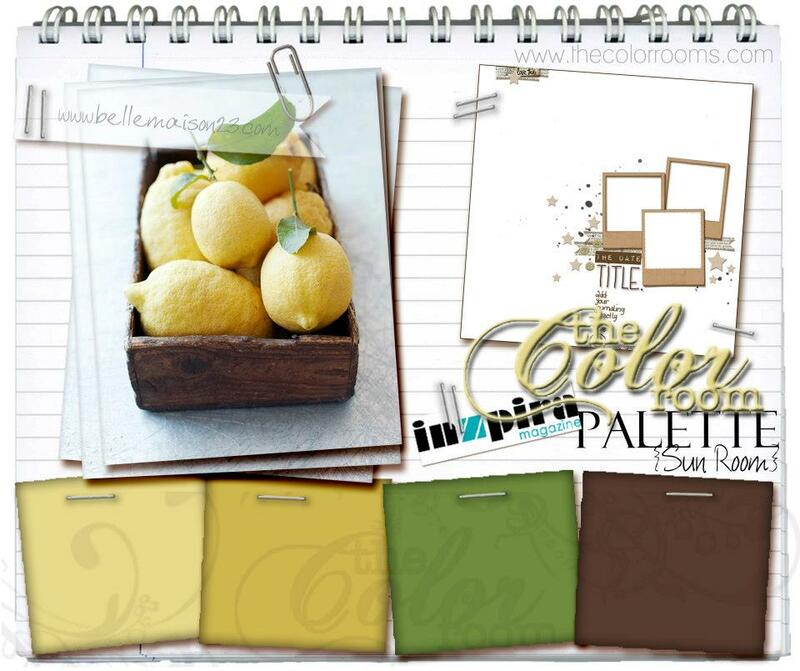 …and here is my take on the palette. These colours were definately out of my comfort zone but I just love how this turned out. 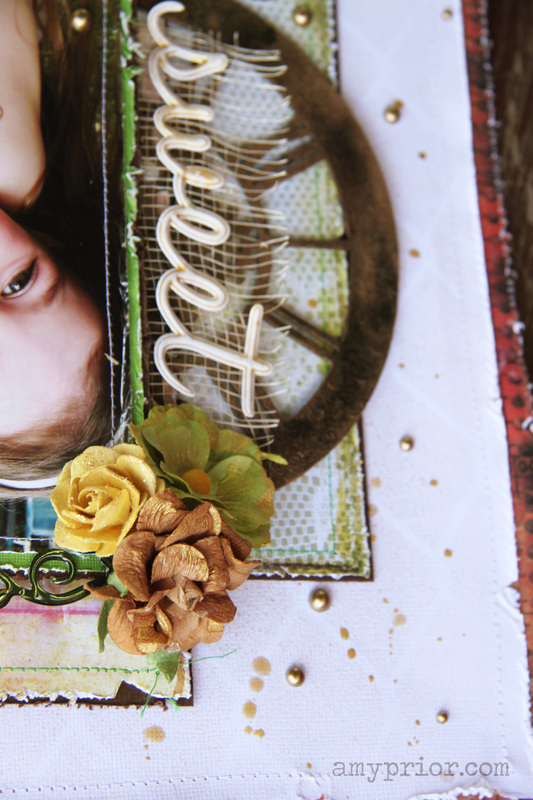 The background has been lightly sprayed with Heidi Swapp Gold Color Shine Spray over the A2Z Scraplets Broken Gate 12×12 Mask. Very subtly. 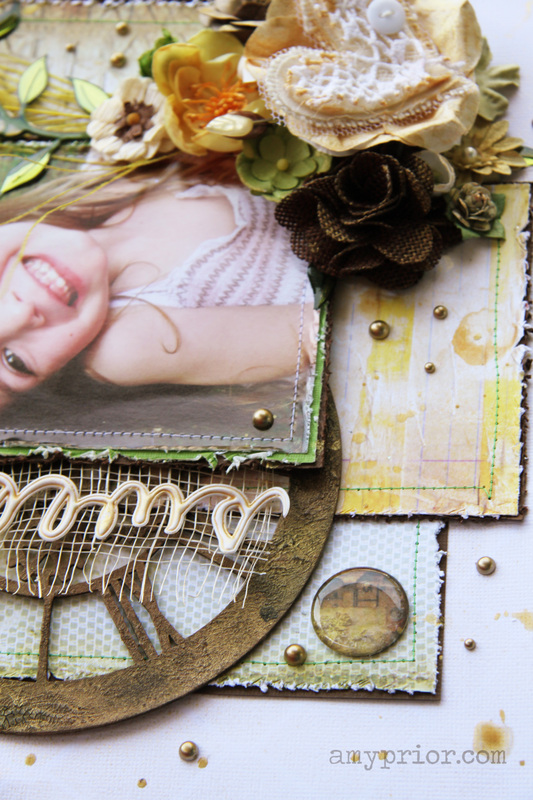 I have then cut and distressed all my patterned paper pieces and mounted them onto Brown Cardstock and distressed. To decorate the A2Z Scraplets Chipboard Clock with Cogs, I have painted it with Brown Crackle Paint, allowd to dry, then sprayed with various Brown Shimmery Sprays and dried with my heat gun making sure lots of puddles of brown formed to create a more aged look. 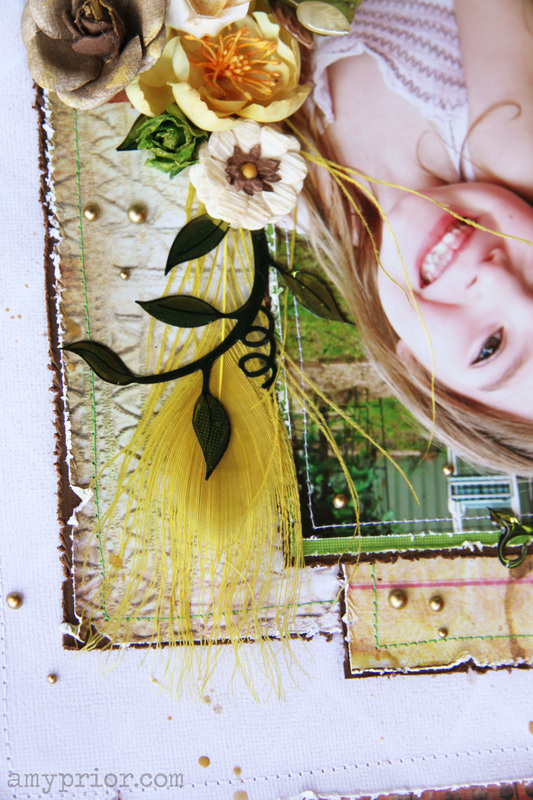 When the layout was complete, I decided to add some pearls and drops around the page randomly. 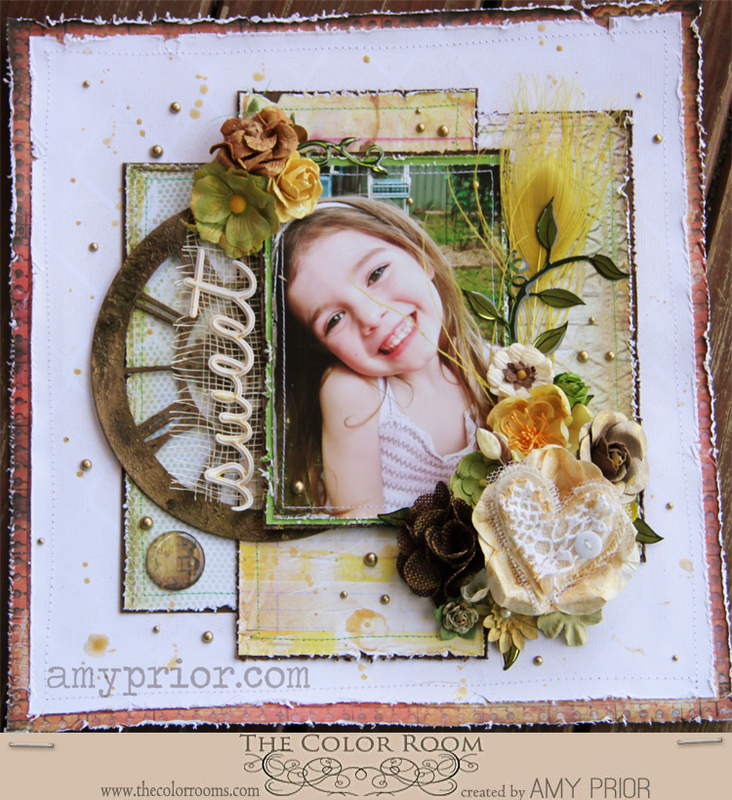 I have also painted the edges of all the flower petals and the Sweet title with Heidi Swapp Gold Color Shine. 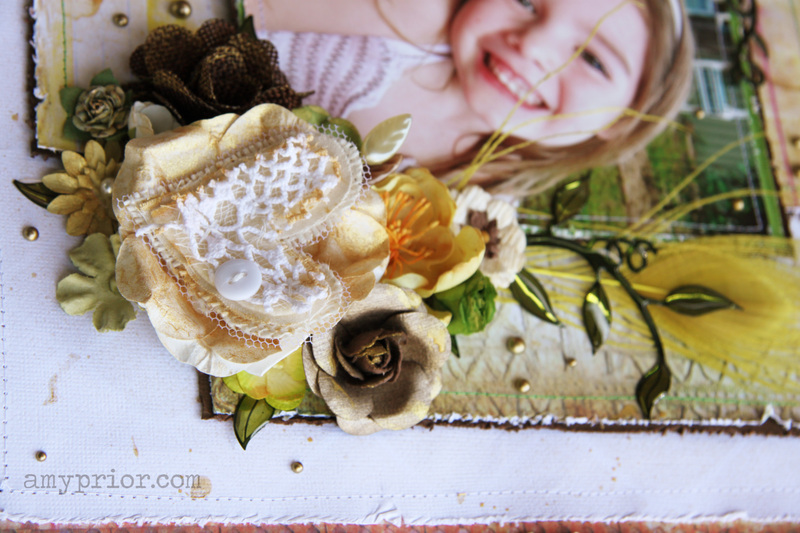 Girl I like your style; I found you on Svensk Scrapbooking thi smonth! !